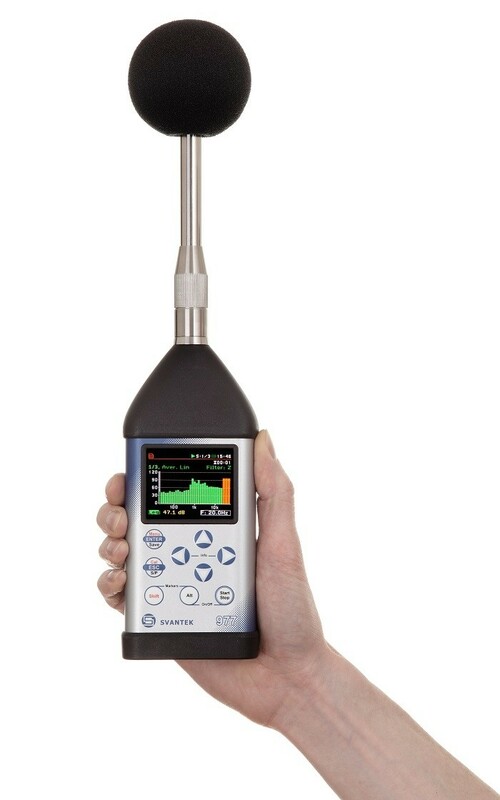 The Svan 977 is a high end piece of equipment in the sound and vibration industry, it is a type 1 instrument that meets the environmental monitoring of occupational heath and safety monitoring standards. 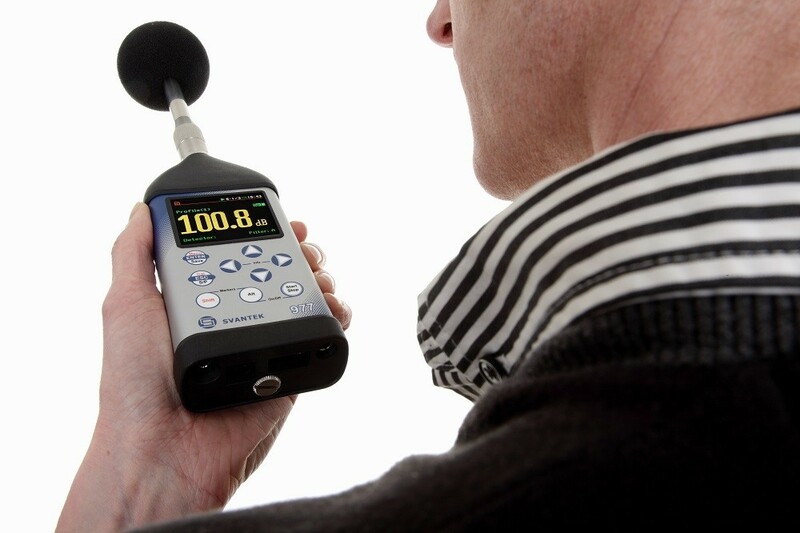 It has extremely new and high tech hardware which allows the measurement of ultra sound frequencies in the 40kHz band! Its ability to record audio means it can be performed simultaneously with time history logging as either a separate wave file or as audio events inside time history files. Measurement results are recorded in three acoustic or vibration profiles enabling measurements to be performed with 3 different filters (e.g. A, C, Z) and 3 different detector time constants (e.g. Fast, Slow, Impulse).